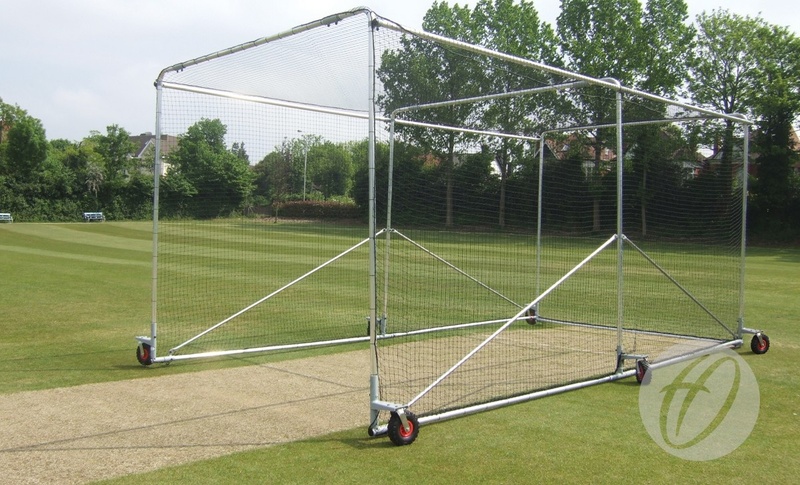 Our portable wheelaway cricket cages are suitable for any pitch where it is impractical to have a permanent practice net. The cage sits permanently on 6 cellular wheels and is easily moved around the ground as required. Ideal for schools and clubs of all standards. Size 3.2m H x 3.6m W x 7.2m D. 50mm diameter uprights and toprods in aluminium. It is recommended that the lightweight aluminium option is securely anchored using the supplied pegs at all times.